I had the pleasure of photographing the wedding of Diane and Marcus this weekend at St Thomas' Church, Deal and Solton Manor in East Langdon, near Dover. 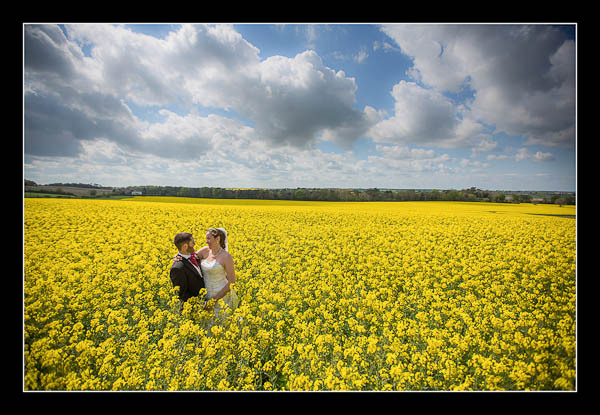 Enroute to the reception venue we stopped off for an impromptu photoshoot in a field of rapeseed (definitely not a location for hayfever sufferers). We all came out a bit more yellow than we went in but we got some great shots! Please check out the gallery for their wedding at Solton Manor or view this alternative non-Flash based gallery.